Yesterday was Valentine’s Day, and I am pleased to say that the significant others of 1109 made sure that today all the different tables boasted flowers. James and I celebrated our four-year anniversary last week with a fancy dinner out, so we decided that what we really wanted for Valentine’s Day was a burger. We love burgers. I think I have mentioned before, but we are slowly working our way around to all the DC burger joints conducting very thorough research. Thus, while couples all across the city whispered sweet nothings, we discussed the intense burger joint evaluation rubric that we need to design and reveled over the difference a wider straw makes when enjoying a milkshake. Year 1: Taco Bell eaten while sitting shivering in my car in the snow beside Lake Bawbese. Hey, we had just started dating and Taco Bell is one of the best parts of Hillsdale, MI. The fact that it is attached to a gas station matters not. I think there were also flowers, and I made him cookies, but mostly what I remember is that it was almost hard to eat because it was so cold and my cheeks were still sore from smiling nonstop for the preceding 5 days. Year 2: Dinner and concert in Ann Arbor to complete “James and Hannah’s Week of Awesome Dates and Delicious Dinners,” so dubbed as we reveled in out one-year anniversary, Valentine’s Day, and the bitterly cold winter that necessitated lots of homemade chicken potpie. Year 3: I was in Paris, He was in Michigan, but I got a bunch of the most beautiful yellow roses and a box full of crunchy peanut butter, Reeses, and boxed mac n’ cheese. Year 4: Flowers sent to me in KY and then a fancy dinner out at Bistro Bis (same place we went the day we got engaged) when I came to DC the following weekend. And it is, and has been every year, and will be for the rest of the years. We just got our engagement pictures back last weekend and I am SO excited to share a couple of my favorites. They were done by the amazing Alumbra Photography (If you live in the DC area and every need any photos, you should check her site out! ), and you can see some more by clicking here. 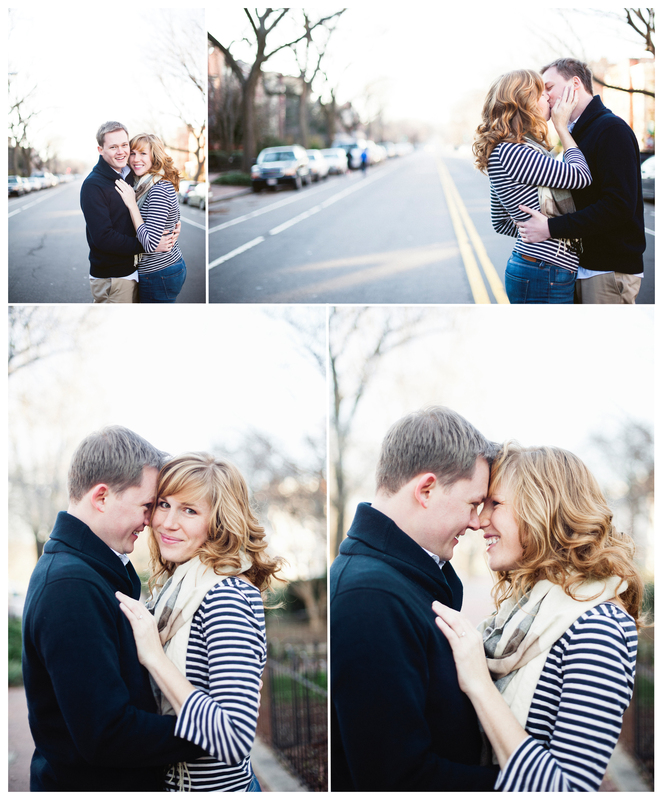 This entry was posted in Uncategorized and tagged DC, Eastern Market, engagement, love, photography, quotations. Bookmark the permalink. HAVE YOU BEEN TO BURGER TAP AND SHAKE IN FOGGY BOTTOM? Yes!! It’s one of our favorites!